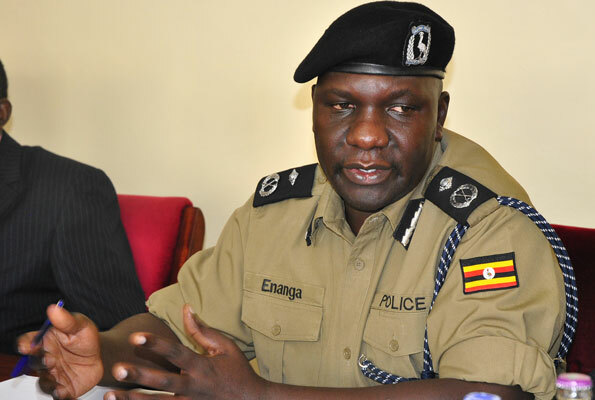 To give you a feeling on how the Police will act this coming week and weekend when the FDC has again planned to have public meetings in the Eastern Uganda like in Bugiri, Mbale and Tororo. First what FDC themselves has said and what the UPF spokesman Enaga said. Nothing that is said is surprising. We can expect more tear-gas, more FDC people jailed and even convoys with troubles during the next days. Especially with the words that is coming from Mr. Enaga. So there is still only one person who is allowed to run a campaign and he is enjoying the sun and state-visit in Algeria right now! “This week we will be going to Bugiri, we will also go to Tororo on the same day and wind up with Mbale. 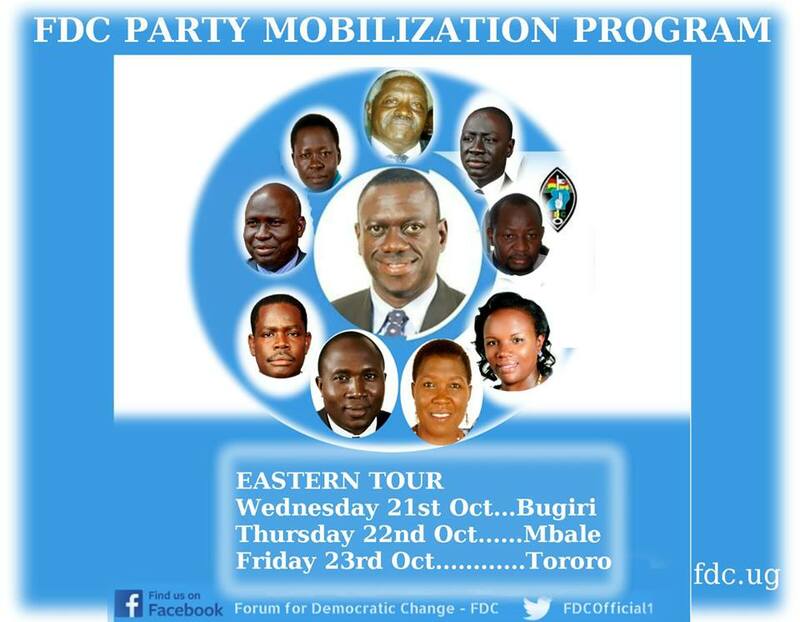 We will go to open offices and speak to our FDC supporters in those areas” (Walswa, 2015). “We are already aware of broths and conspiracies, but we are committing to promote rule of law, peace and stability. We want to warn this unpatriotic Ugandans that which mix politics with our nations security. That such anarchy an act of recklessness, by suffocating the media and the public with falsehoods will actually be failed their political mileage. You cannot achieve any political mileage by triggering violence and chaos” (NBS Sunset, 2015). “If FDC continues with their planned meeting in Bugiri they will have given us work to do. Then we will know if they are following their own laws or Uganda’s laws. Their meetings have not been cleared by Electoral Commission” (Walswa, 2015). Calling the other parties UNPATRIOTIC shows how you already giving the other parties their place on the map. That their only one party who is truly PATRIOTIC. NRM and its flag-bearer are allowed to start campaigning and travelling around the country. This while FDC is unlawful and will have more trouble with the UPF. We also see that the opposition is being said to spread falsehood to the media, because of their dire situation they are in. I am sure we are soon seeing Dr. Kizza Besigye is soon under either House Arrest or at a Police Station in Wakiso District or Kampala Metropolitan because of the need for a “Preventative Arrest” and the same with other candidates in the party. It has to be under a blue moon before the Government of Uganda actually keeps the truth about a Multi-Party Democracy, right now it’s a sham! The Multi-Party system in Uganda is for the moment like this. The NRM is the Ruling party with the hands and control all the institutions. The men who are leading government run business and organization is loyal cronies of the NRM elite. The other parties has a few seats in the Parliament, but not meaning they have any essential power and the independent seats there is just for show and could in general just be another NRM candidate. The FDC, DP, JEEMA, UFA, UPC and CP is just for show when Yoweri Kaguta Museveni needs to prove to the world that he open the system for more than the NRM. But initially the rest of the time, they are just a hazzle and meddlers that are as Fred Enaga acutally said today: “Unpatriotic”. This shows the difference between NRM and the rest as he concerns. Also what the Police is thinking and why they are doing what they can to shut down opposition parties when they try to campaign. DP had issues this week in Luweero and FDC made demonstrations in Mbabara after the chaotic weekend earlier in October. That still proves how the Police is systematically working to keep the elite and NRM-Regime in order. Not to open for a real Multi-Party system with free and fair elections. This is why I am worried about the next days planned events from the FDC and how it will transpire and evolve. Hope that nobody gets hurt and the police doesn’t shot anybody this days. Peace.